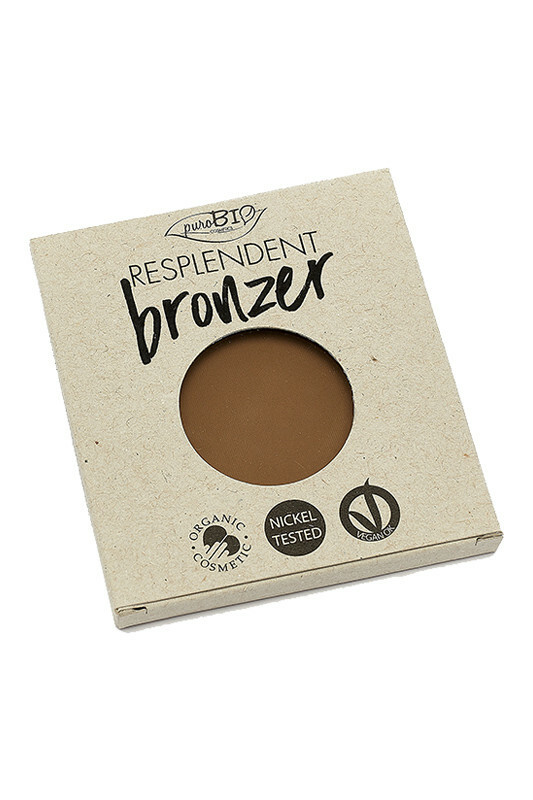 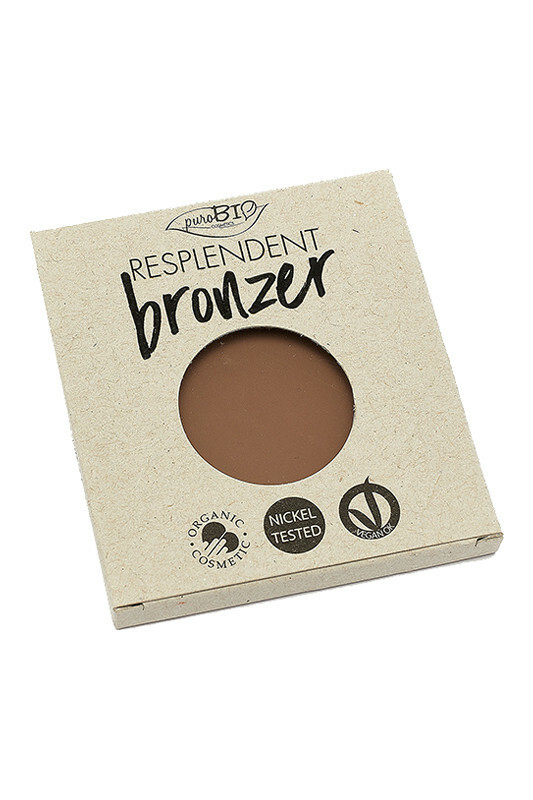 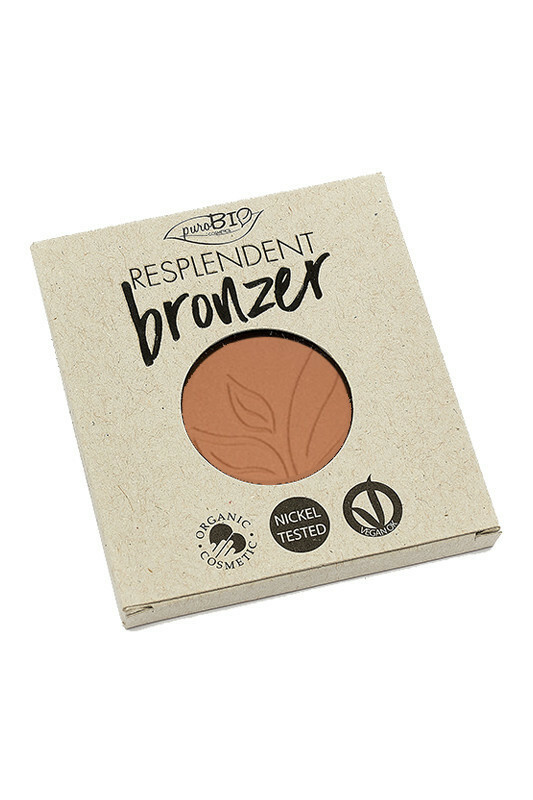 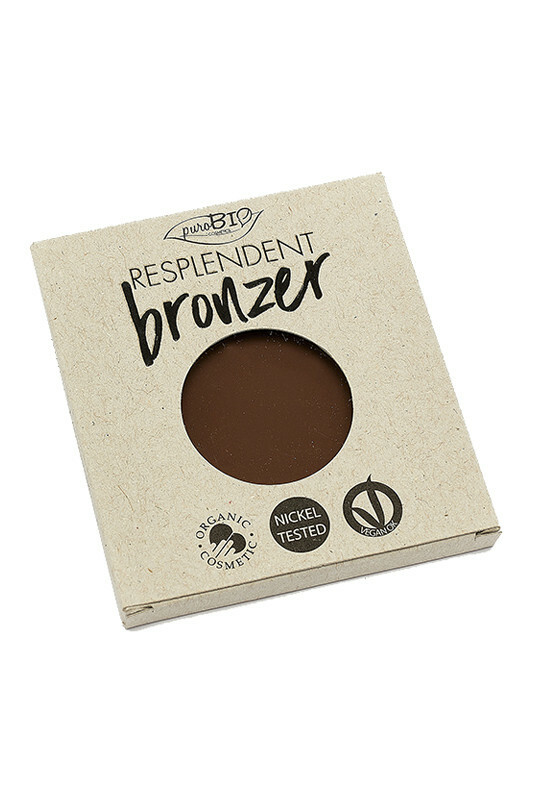 Refine your face with PUROBIO Organic Resplendent Bronzer! 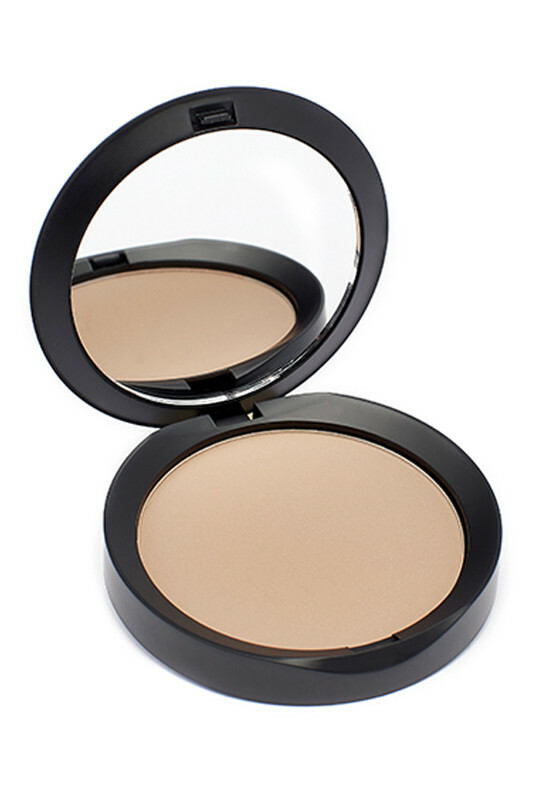 With Purobio Socket Line Brush (for small areas of the face) or Purobio Contouring Brush, apply the bronzer: nose, forehead, chin, jaws, cheeks. 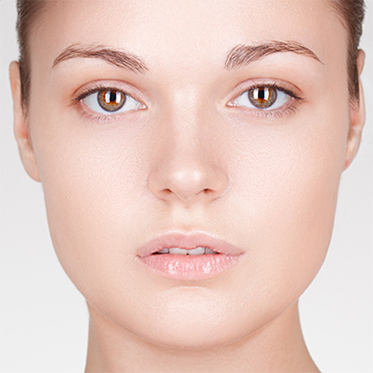 For a natural result, blend to avoid demarcation. 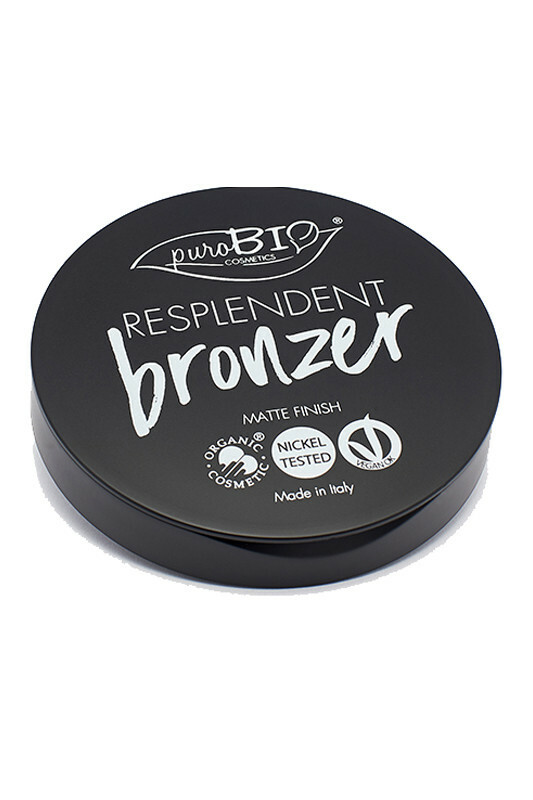 A healthy nickel-free composition with PUROBIO Bio Bronzeurs! 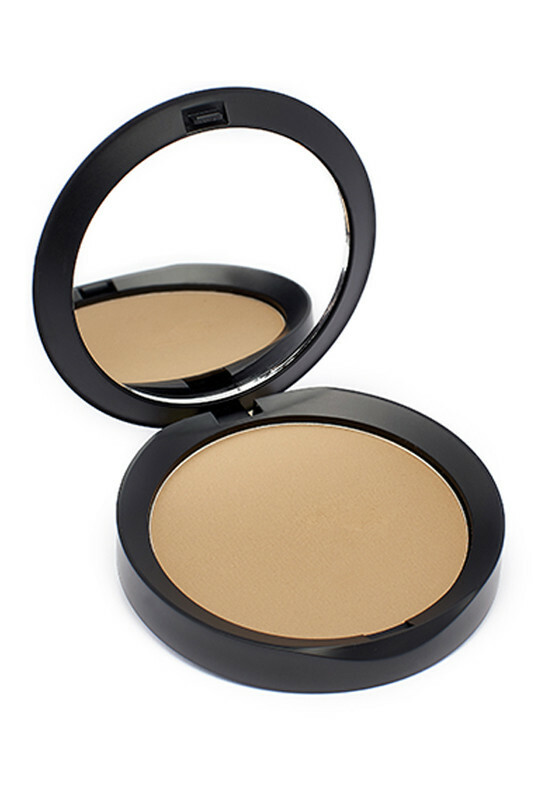 INCI 01 Light brown : MICA, ZEA MAYS STARCH (ZEA MAYS (CORN) STARCH)*, SILICA, SQUALANE, ZINC STEARATE, GLYCERYL CAPRYLATE, TOCOPHEROL, PARFUM (FRAGRANCE), ORYZA SATIVA POWDER (ORYZA SATIVA (RICE) POWDER)*, BUTYROSPERMUM PARKII BUTTER (BUTYROSPERMUM PARKII (SHEA) BUTTER)*, MACADAMIA TERNIFOLIA SEED OIL*, PRUNUS ARMENIACA KERNEL OIL (PRUNUS ARMENIACA (APRICOT) KERNEL OIL)*, PERSEA GRATISSIMA OIL (PERSEA GRATISSIMA (AVOCADO) OIL)*, PONGAMIA GLABRA SEED OIL, LIMONENE, CITRONELLOL. 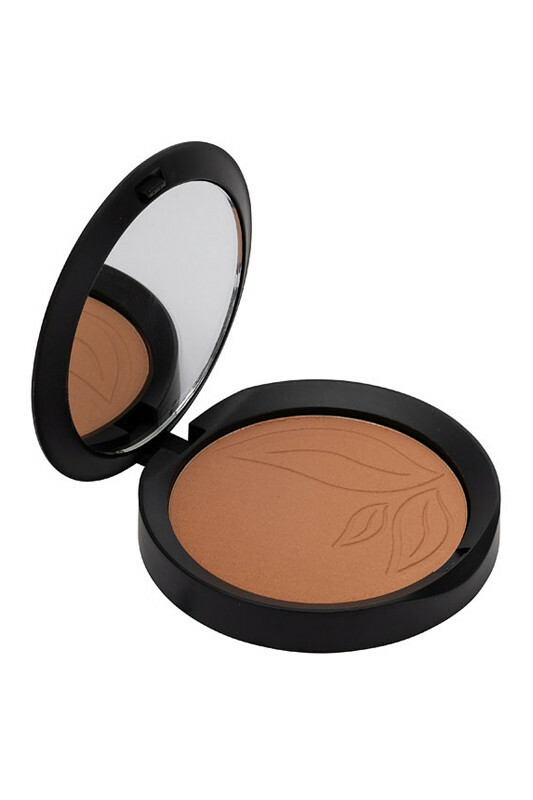 INCI 05 Warm Brown : MICA, ZEA MAYS STARCH (ZEA MAYS (CORN) STARCH)*, SQUALANE, ZINC STEARATE, SILICA, TOCOPHEROL, GLYCERYL CAPRYLATE, PARFUM (FRAGRANCE), ORYZA SATIVA POWDER (ORYZA SATIVA (RICE) POWDER)*, BUTYROSPERMUM PARKII BUTTER (BUTYROSPERMUM PARKII (SHEA) BUTTER)*, PRUNUS ARMENIACA KERNEL OIL (PRUNUS ARMENIACA (APRICOT) KERNEL OIL)*, PERSEA GRATISSIMA OIL (PERSEA GRATISSIMA (AVOCADO) OIL)*, PONGAMIA GLABRA SEED OIL, MACADAMIA TERNIFOLIA SEED OIL* .